We’ve all been there ­— standing in front of our closet freaking out because we have nothing to wear. I usually think, “how can this be? I thought I had way more clothes than this… where did it all go?” In a panic, I toss my clothes left and right trying to put together a decent outfit with no luck, which happens to me more often than I’d like to admit. But on these days I do have a couple of fall back outfits. By this I mean — outfits that I can always count on. Outfits that I know will work for every occasion so I never have to worry about looking like I got dressed in the dark. Since I believe I’m not the only one with this problem, I thought I would have a outfit post series on, “What to Wear When You Have Nothing to Wear.” Brilliant right? In the next couple of weeks I will share with you outfits that are my safety nets, my life savers, my fall backs, my assurance, my… well you get the picture. 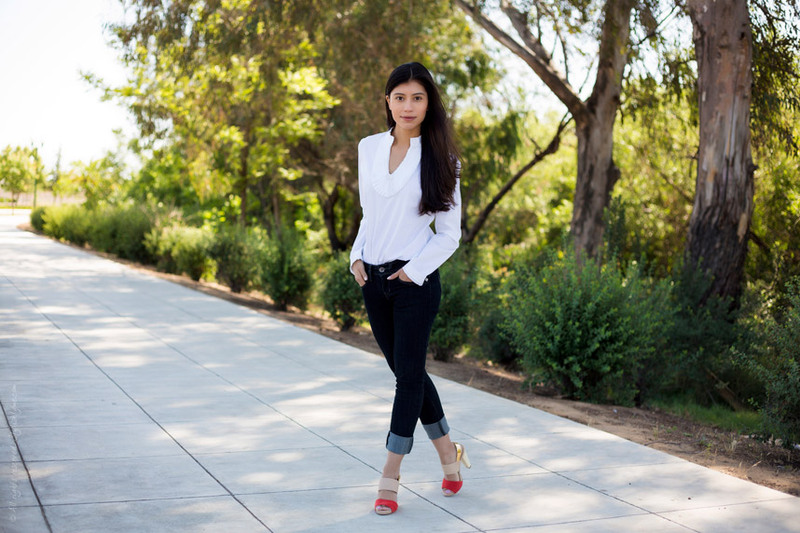 For outfit number one in this series I’m wearing; a crisp white top, dark wash denim and a pair of heels. This outfit is pretty much a win every time. 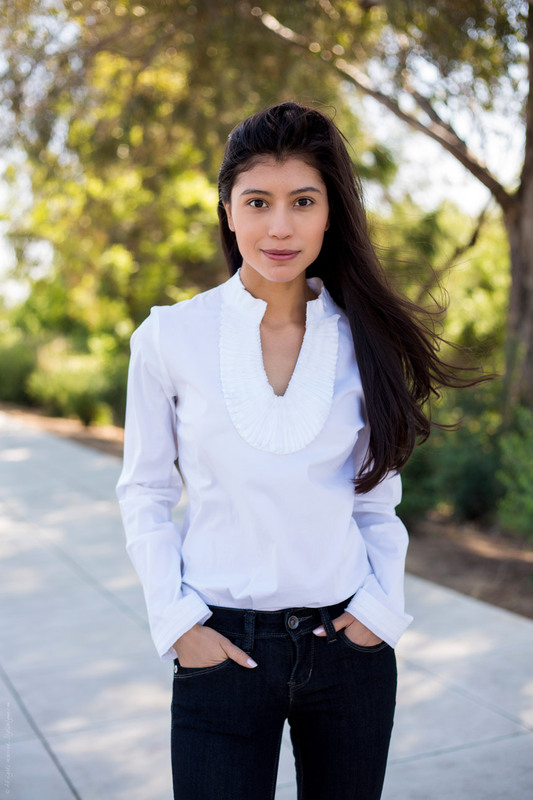 If you don’t have a crisp white top in your closet then you need to find one! Invest in a shirt that you can wear over and over again and doesn’t get worn out after the 10th time wearing it. 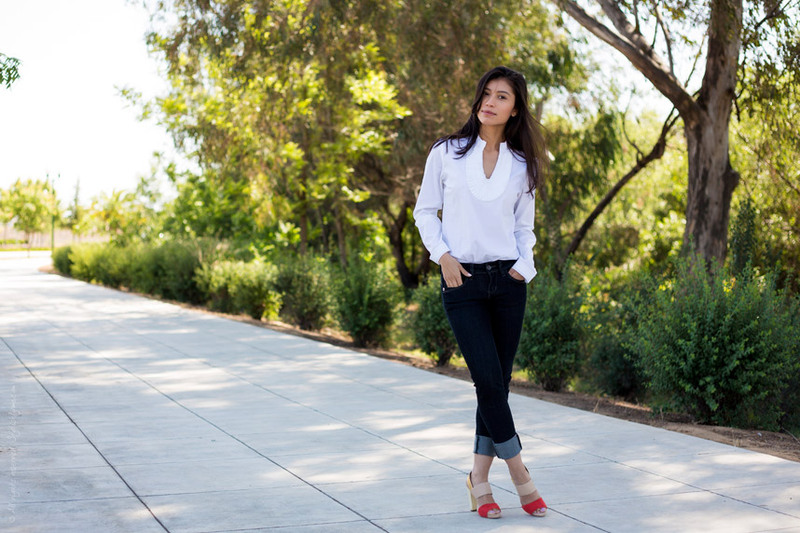 Pair the top with dark wash denim, I prefer dark wash because it always makes you looking longer and leaner as opposed to a light wash. Add a pair of cute heels and you’re done. I would love to know if you have an outfit that you always turn to – let me know in the comments!